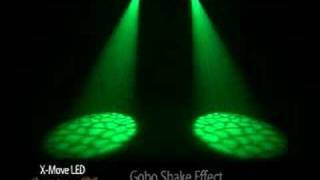 LED TECHNOLOGY BREAKTHROUGH! 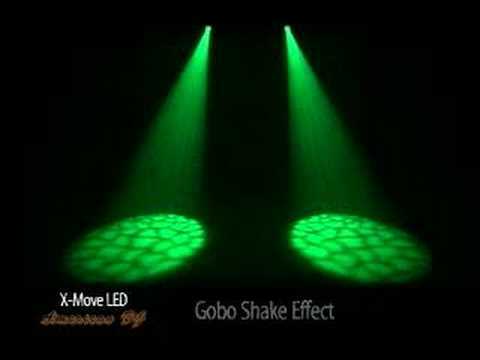 The X-Move LED Plus Hi-Tech Moving Head features a new and improved 10-Watt white LED source for a hard edge beam that will project gobos and solid colors. Now you can enjoy the look of a traditional halogen or discharge lighting effect with a fraction of the power draw (49W) and without the hassle of changing out the light bulbs (LED source rated at 50,000 hours). The X-Move LED Plus is light weight and small in size making it extremely mobile, and can be set up by any size DJ or entertainer. Considering purchasing the American DJ X Move LED Plus Hi-Tech Moving Head? Have questions? Ask people who've recently bought one. Do you own the American DJ X Move LED Plus Hi-Tech Moving Head? Why not write a review based on your experience with it. Seen a video for American DJ X Move LED Plus Hi-Tech Moving Head online or have you own video? Check out American DJ X Move LED Plus Hi-Tech Moving Head on DJkit.com!